The car reportedly crossed both eastbound lanes, struck the sidewalk, and then hit an oncoming truck. After the collision, the car flipped over the guardrail and into Lake Hamilton. The Mitsubishi hit the bridge's guardrail before flipping over it and landing upright in Lake Hamilton, ejecting Kemp. He was pronounced dead at the scene along with his passenger, Devin Wilson of Hot Springs. Reynolds, also of Hot Springs, was taken to CHI St. Vincent hospital for injuries that weren't life-threatening. When someone has been seriously injured in a car crash in Hot Springs, they are faced with unexpected medical costs and lost income. In the weeks and months following a car accident, injured people and their families can be overwhelmed as they struggle to manage day­-to­-day living. If the injuries are serious or if you have questions about what you should do, it is best to contact an experienced Hot Springs car accident attorney for a free, no­-obligation consultation. Serious injury accident claims are difficult to handle without the assistance of a lawyer who understands the process and can obtain the highest possible settlement. 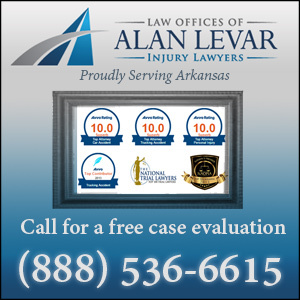 Learn more about Hot Springs car accident claims here.